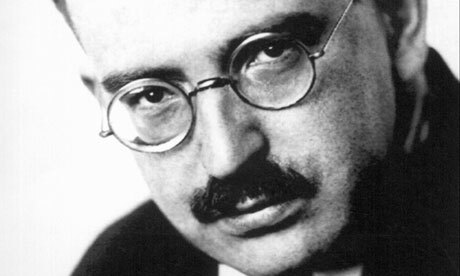 Walter Benjamin was born into a wealthy Jewish family in Berlin. His father was a banker who moved from Paris to Berlin, where he invested in several businesses, including an ice-rink. As a young boy, Benjamin was very poorly, so his parents sent him to a countryside boarding school in the hope to improve his health. At age twenty he began to study philosophy and it could be said that it was here that he began his critical thinking. It was also at this time that his faith became a much larger part of his life. He believed that the Jews were much more spiritually enlightened and cultured. He began writing his essays and dissertations whilst studying philosophy at university. His topics of choice were often based upon arguments for educational and cultural change. This subject seemed to course through his veins- and over the years wrote many more pieces on these matters. Among others, arguably his most famous essay was “The Work of Art in The Age of Mechanical Reproduction (1936).’ In this essay he voiced his opinions on the cultural impact of art and how that its impact may change or lessen as the pace of mechanical reproduction sped up. The piece was written to distributed to a small group of close academics who would in turn go on to circulated the thesis into the mass media. As war broke out between Germany and Britain in 1939 the Jewish community of Berlin had began to feel increasingly persecuted. Even as Adolf Hitler gained power before the war, he had made his hostile opinions known. Benjamin moved to Paris in 1940 in light of this persecution, eventually fleeing to Lourdes as the Germans advanced into Paris. It is here that they gave an arrest warrant for Benjamin. He had originally intended to escape to the US. Walter Benjamin never made it to the US. He was denied entry into Spain on the French-Spanish border and committed suicide by overdosing on Morphine tablets. Although he achieved a lot and influenced many in is relatively short life, imagine how many more subjects he could have challenged and argued and studied. His final work that he was carrying in his suitcase went missing on his death and has not been seen since, and speculation still surrounds what matters the essay could have discussed.